Backed by our industrial experience and cutting edge technology we offer premium quality MV Soft Starters to our clients. They are widely renowned for its compact, suitable and robust use in the industrial locations. Our range is equipped with multi-level password system for further adjustment in the intuitive menu structure, security parameters and multi-language display. MIFA Systems Private Limited, established in 1992, is in to the business of distribution of a variety of Process Control Instruments. We are one of the well known Distributor, Supplier, Trader, importer and exporter of AC Drives, Injection Mold Controllers, DC Drive, Temperature Controller, Electric Modicon, Servo Motor, Analytical Instruments, Dual Channel Controller, Programmable Controller and many more. We act with integrity and professional ethics with the aim of offering secure, efficient, cost-effective solutions, meeting overall application need of clients. 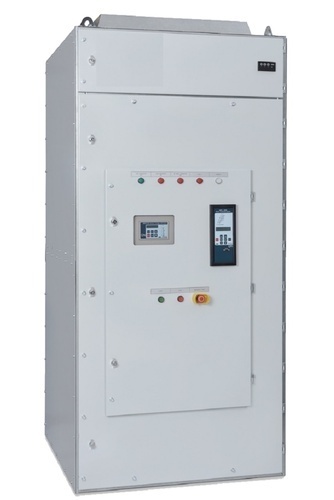 We have the industry’s most wide portfolio of process control equipment like Temperature Controller, as well as providing the integrated and bespoke turnkey solutions, therefore the growth of the company arises out of world-class customer base as well as it capitalizes on an expanding presence in market places.